Italian electric motorcycle manufacturer Aero has presented their E-Racer model to the public at the EICMA motorshow in Milan. Aero is a new company which works together with fellow electric motorcycle manufacturer Tacita and several other Italian companies. The E-Racer will be available in two versions. Husqvarna just released the details about their 2018 Husqvarna FS450. There are no big changes for the 2018 season. The 2018 update includes new graphics, seat cover and a Suter Slipper clutch. 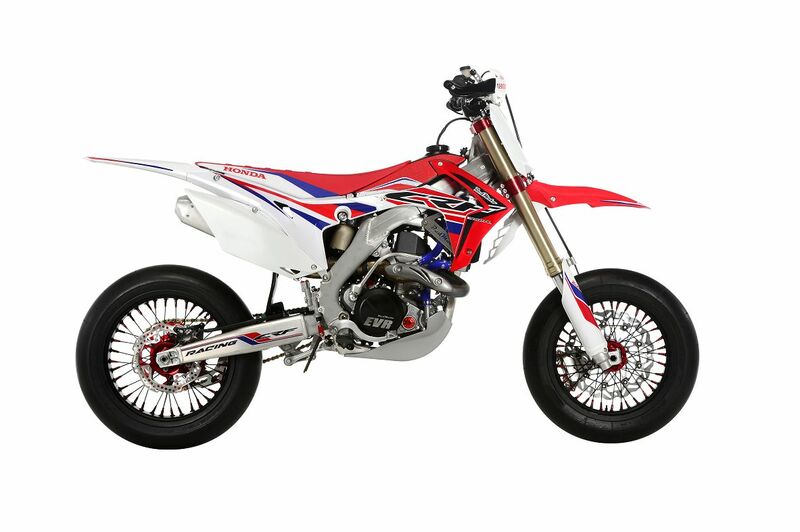 Italian Honda importer Redmoto just released the full details about their new race-ready 2016 Honda CRF450R Supermoto Special that will be available at Italian dealers in December. This new track-only Supermoto has €5500 worth of parts installed including radial brakes, different cam, Supermoto triple clamps and many other bling bits. The Supermoto Special will cost €10.590 without slipper clutch and €10.990 with slipperclutch. Click read more for more photos and the full list of parts. Full specs and demo rides at Zero Motorcycles - Whether you’re charging through the inner city supermoto style or indulging in backroad shenanigans, the new Zero FXS is ready to push the limits. 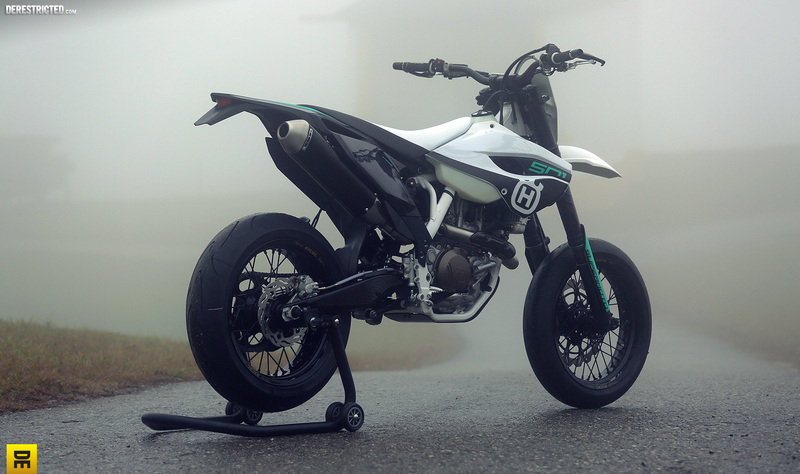 Delivering a nearly instantaneous 70 ft-lbs of torque, up to 44 hp and weighing less than 300 lbs, the Zero FXS takes supermoto to a new level. Husqvarna Motorcycles, the brand with a rich and distinguished tradition of producing excellence in motorcycles, is pleased to introduce the newly released 2016 model FS 450. On dealer floors by the end of September, this completely revamped supermoto bike has features that represent the most advanced Husqvarna technologies. The Italian brand SWM(Speedy Working Motorcycles) started back in 1971 building Enduro bikes, sadly in 1984 they closed down. But now they are back! The man behind the restart of SWM is Ampelio Macchi, an engineer who worked for Aprilia, Cagiva and Husqvarna. With the help of Chinese company Shineray SWM rented the old Husqvarna factory and bought the rights to produce the pre-BMW Husqvarna Enduro and Supermoto models. They have 6 models in their lineup including the SM450R Supermoto. Looks familiar you might think. Well that's because it is basicly a 2010 model Husqvarna SMR450 with new design plastics. Why should you get excited about a bike that produced 4 years ago and gets a rerelease? The price. SWM is going to be offering the SWM SM450R around the €6000 mark. That's about the same as a second hand 2010 Husqvarna SMR450. 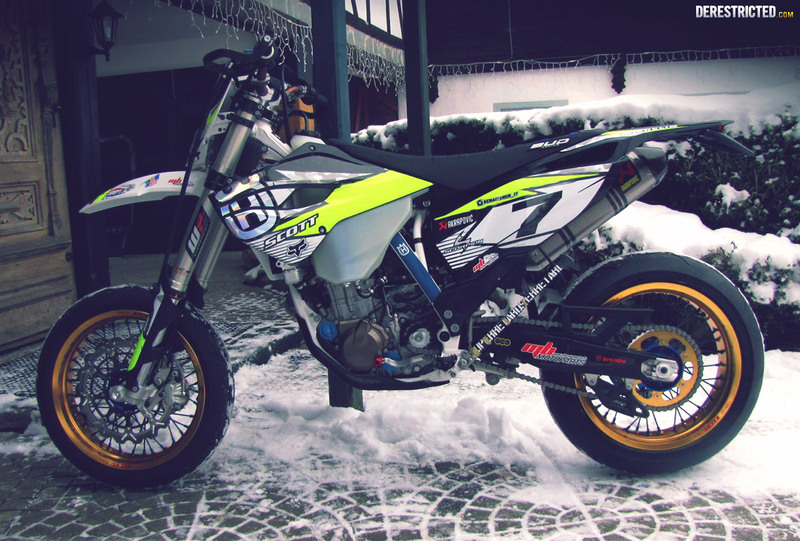 The bike it is based on is one of the best Supermoto bikes that was ever produced. The only thing that we don't get is why SWM doesn't offer a SM500R. In the past the Husqvarna SMR510's where always more popular among street riders than the 450's. They do offer the 500 in an Enduro model so I really don't get why they don't offer the 500 option for their Supermoto lineup.